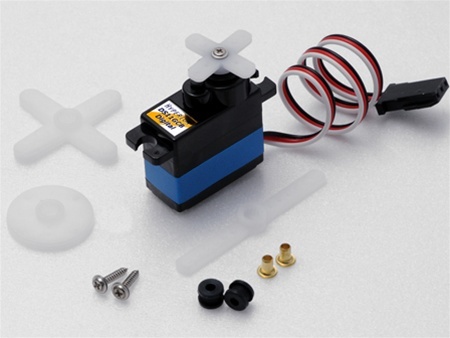 These are simply the best servos you can buy at any price, and a great value too. Perfect centering, top ball bearings, and choices of tough CarbonPoly or Metal Gear Trains. 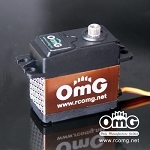 HP-DS11GCB (9.1g) is a super-fast servo for smaller helicopters, to cure those tail-wagging blues forever. 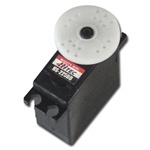 HP-DS11SCB (9.1g) is the "all-round" servo for model airplanes and heli collective. Metal-geared HP-DS11AMB(10g) is the one for Rudder/Tailwheel, Glider ailerons, Small Retracts and other high-stress applications. Fully programmable for Speed, Deflection, Centering, and more.